I took this photo at Harvest Espresso in Victoria Park where we had breakfast last weekend. I sat right next to the croissants, and they smelled incredible. 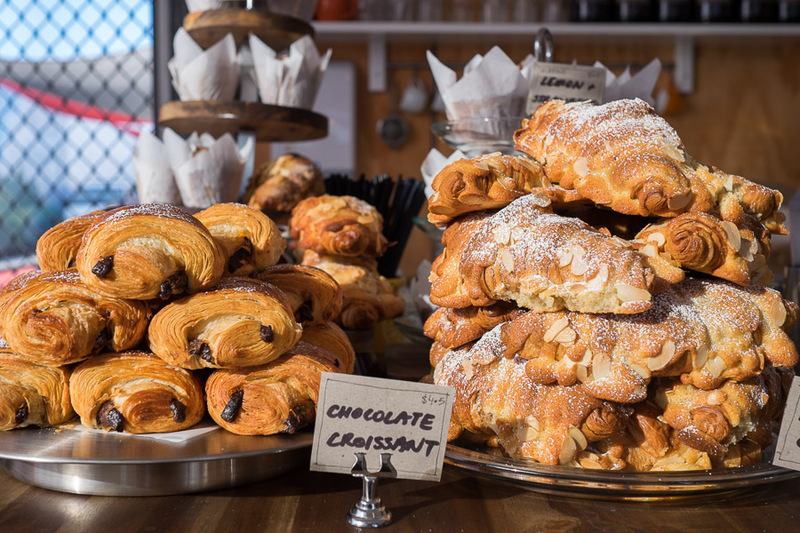 Chocolate croissant or almond croissant, which would you choose?